Steps to do a bulk change. 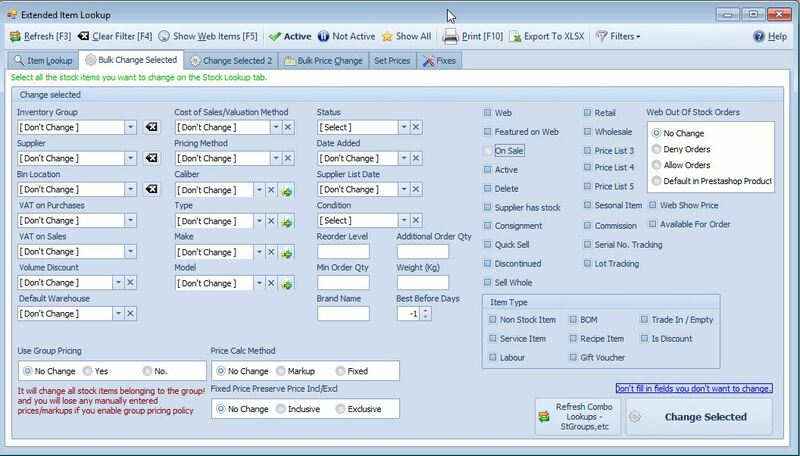 Filter the item lookup form for items you want to change by using the blue search row or the advanced filter (edit filter) above the horizontal scroll bar. Select/Tick All Visible or select the individual items you want to change. Select options you want changed (for the items selected on the item lookup tab). See form below for options that can be changed. Once complete click on the Change Selected button.